#4 overall with a score of 4.12 (95% familiar). 82 AC stations on…new at WFSH/Atlanta, WFFH/Nashville, KCBI/Dallas, KKFS/Sacramento, KVNE/Tyler, KJNW/Kansas City, KTSY/Boise, KLTY/Dallas, KFSH/LA, WGTS/Washington DC, KLJY/St. Louis, WAKW/Cincinnati, WCVO/Columbus, Christian FM, WAFJ/Augusta, WPAR/Roanoke, WCQR/Johnson City, WGNV/Green Bay and KVMV/McAllen. 56+ million streams across all platforms. Elevation has a TOP 5 streaming audience on Spotify every week this song is adding 800,000+ streams to it's count. There are 2+ million streams every week right now on the song across all streaming platforms. 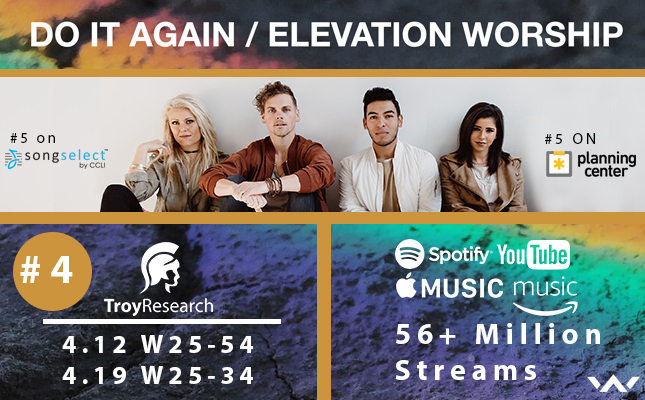 In 2017, Elevation Worship became the 5th highest selling and streaming act in all of Christian music on the back of significant airplay at radio for the song "O Come To The Altar" which spent 48 weeks on Billboard's Christian Airplay chart (15 weeks in the TOP 5) and spent 38 weeks on Billboard's AC Monitored chart (26 weeks in the TOP 10). It was one of the most-played songs in all of 2017 at Christian radio. "O Come To The Altar" was just certified GOLD by RIAA! 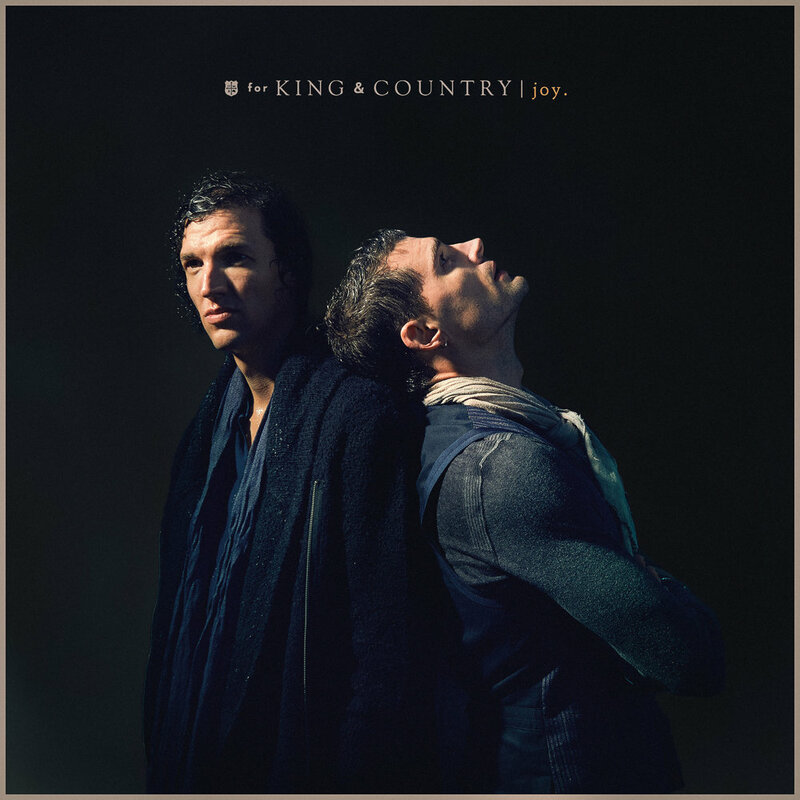 "Do It Again" is the latest from Elevation Worshipand it's poised to repeat the success of "O Come To The Altar" for you at radio. I'm honored to have been asked 10 Questions this week by All Access. I love Christian music and I love Christian radio. I'm thrilled to be part of this business and very grateful that I have a chance to be involved in something I love so much. Please check it out.